The “Crack It” add-on makes a cracked object based on a selected object. 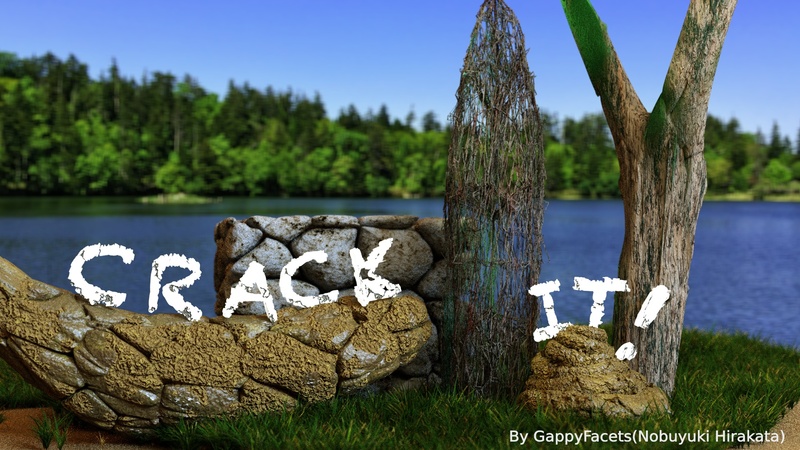 It can be used to make cracked shapes such as rock, tree bark, or poop, etc..
“Crack It“ addon is included in upcoming Blender 2.79 release, as an official community add-on. So now you can use the addon without downloading addon files. 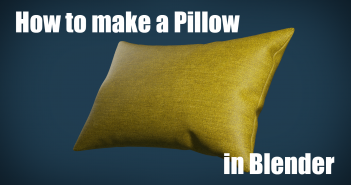 Does anyone remember the BlenderNation’s article about “Hhow to make realistic excrement”? Development of the add-on actually started from the technique. Author of "Crack It" addon. 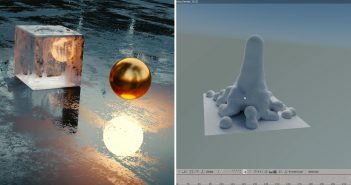 Realistic poop in blender! Wow, imagine the possibilities. Realistic poop from cracks?! This is truly a game changer. What a sweet and useful add-on! How about renaming the add-on to "Poopify" ? In fact, the naming candidates of the addon were "Crack It" or "Excrement It". :o can't wait to try that out let's make Blender ours. Btw I'm procrastinating any tips for starting back I'm really worried cuz It's been for too long I can't do anything.